Stairlift Express is a UK family business covering all of England apart from Devon and Cornwall. We specialise in both new and reconditioned stairlifts and have a range of quality products for sale at competitive prices, a stairlift to suit every budget. All reconditioned lifts are stripped down and fully refurbished by our expert team to an exceptionally high standard, making them look as good as can be, and all fitted with brand new batteries. We pride ourselves on a professional, reliable and friendly service from start to finish. Fully qualified engineers with over 18 years’ experience in the industry, from the factory floor workers to managing director, providing a wealth of expertise and advice when you need it most. As an authorised dealer of Brooks stairlifts, we work closely with them to ensure all products are genuine and reliable. Our policy is to treat customers how we would expect to be treated ourselves, with honesty and empathy, no hidden costs and a promise of NO HARD SELL. Ordered stairlift and installed in less than a week. Quick and clean job done by a very efficient, and respectful engineer called Graham. Instructions explained in simple to understand language. Totally happy with the whole process and would have no qualms about recommending this firm to anyone. I dreaded having to go upstairs on on all fours, (only way I could manage) but now no problem whatsoever and totally safe. Thank you so much. We ordered a used stairlift which was in a very clean and sound condition. 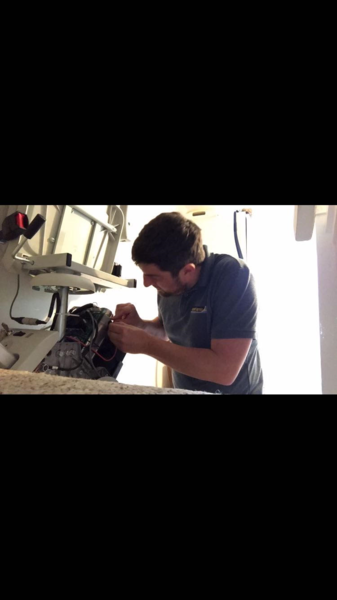 Ben, the installer, was very friendly, professional and courteous and installed the stairlift in 90 minutes, a very neat and tidy installation. He explained all safety aspects and made sure we knew exactly how to operate the stairlift. 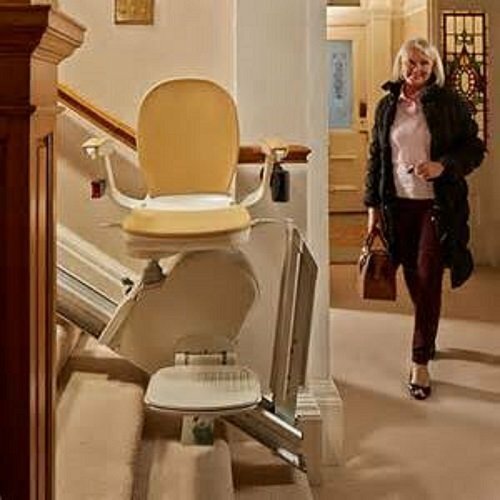 I would not hesitate to recommend "Stairlift Express". Steven. Firstly this is a 100% genuine review!! From first telephone contact to the installation it was one week. 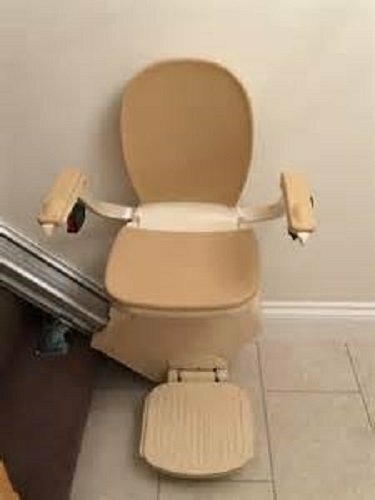 all dealings to select what stairlift was suitable was carried out with a lady who was highly knowledgeable and a pleasure to speak to. There was definitely no hard sell tactics just open honest information to allow us to decide what we required in our own time and call back with our choice. the installation was carried out by mark who was also very professional and at the time stated with no mess or fuss. Hopefully if any after service is required it will be as good as everything else. I would genuinely 100% recommend this company to anyone without hesitation as of my dealings thus far. Fantastic Service, rapid installation from order to finish, the engineer did a great job. Great service from start to finish. 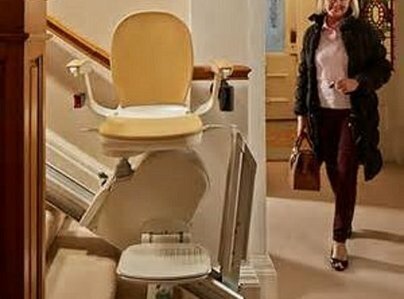 We would recommend Stairlift Express to anyone needing this service. Many thanks to you all at Stairlift Express. What a great company! They were so helpful and polite, even though I asked so many questions. 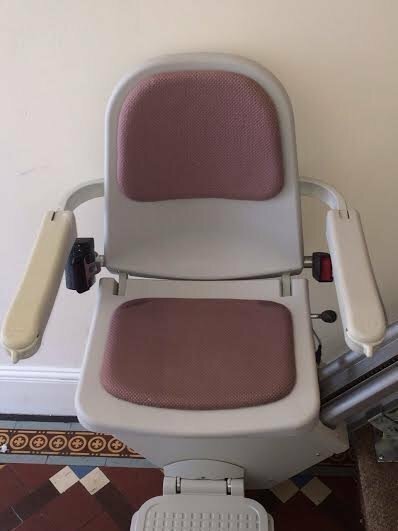 We were having an old stairlift replaced and the cost of this one was so much less than we originally paid years ago! The fitter was polite, friendly and so fast. He kept me informed before arriving as to what time it was going to be. We didn’t make any payment until the office rang after he left, they checked that all was okay and took the payment over the phone. Every single person I have spoken to in this company, whether in person, via email or over the phone has been extremely friendly and helpful, I couldn’t recommend them highly enough. I would have no hesitation in recommending STARLIFT EXPRESS to anyone. They are very professional from start to finish, the installation was very smooth. You also get a friendly efficient service from a family run business, unlike the big name companies. I got free and friendly advice on what type of stairlift would meet my requirements, but the choice was left to me. My advice would be, do not look any further than this company, if you want a job very well done, at the best possible price. We needed the chairlift urgently at the busiest time of year. It was nevertheless delivered and fitted in less than 7 working days. The person who fitted it (Graham) was quick, efficient and very helpful. The lift was in good condition and works perfectly. We couldn't be happier. We had several contacts with the company and everyone we spoke to was equally helpful and informative. 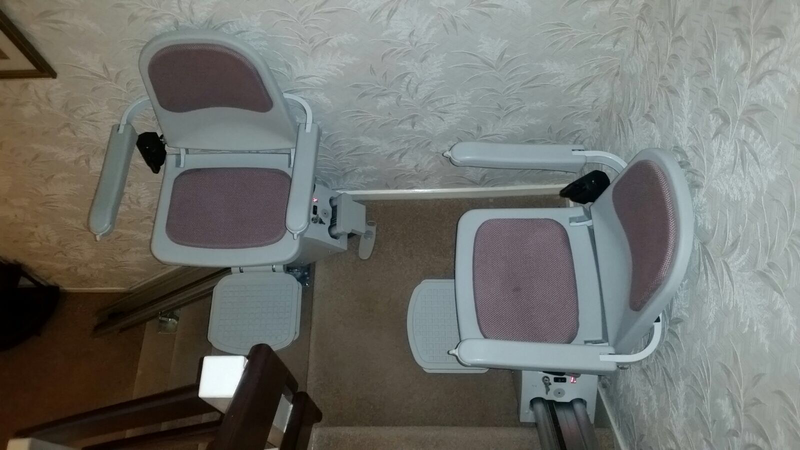 We have no hesitation in recommending Stairlift Express to anyone looking for a good product and excellent service at a fair price. 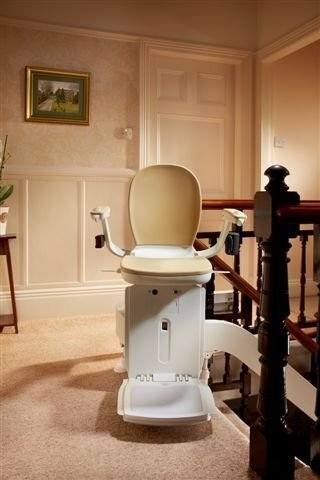 Just had my stairlift installed. We have just installed a stairlift for my wife who is due to have a knee replacement shortly. I am very impressed with the service from Stairlift Express. Jill was very helpful in booking in the installation and kept us informed throughout the process. 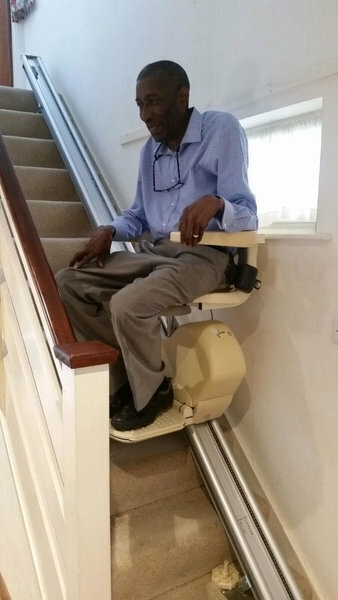 Mark the engineer who fitted the stairlift arrived on time and had the job completed within an hour. He was very helpful and ran through the operation of the lift. I fully recommend Stairlift Express to anyone needing this service. It is good to see that this kind of service still exists, well done. Mum required assistance to navigate the stairs, always a difficult acceptance to get a stairlift. Had been bombarded by calls from other companies when looking at options, which was off-putting. Had been put onto Stairlift Express by colleagues. 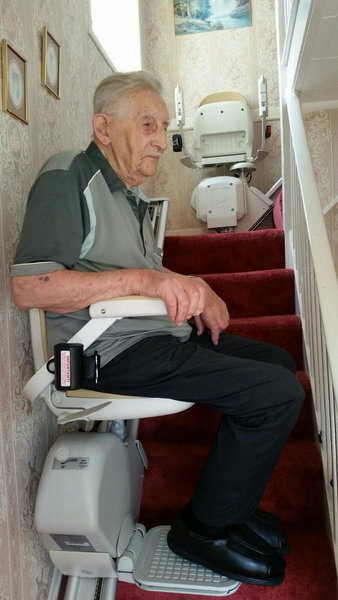 A quick call to Gary to establish availability of stairlift for stair type, number and length. Sent measurements and images by e-mail in the evening. Return call in the morning, date for fitment advised. 5 working days later stairlift installed. Graham installed it in about an hour. Mum got straight on it as he explained things. Mum has her mobility back and full use of her home again. Brilliant service at excellent price. Highly recommended.